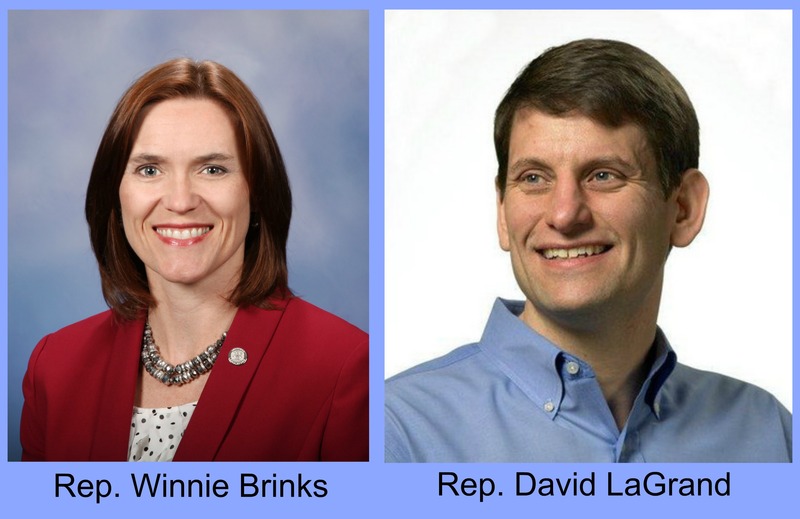 GRAND RAPIDS May 3, 2016– Last month, delegates to the Kent-Ionia Labor Council endorsed State Reps. Winnie Brinks (D-76) and David LaGrand (D-75) for re-election this November. Brinks, who has represented the 76th house district that runs the perimeter of Grand Rapids since 2013, will face off against the winner of August’s Republican primary– either Casey J. O’Neill or Jeff Sheridan. LaGrand, who won a special election in March to fill a vacant house seat, will face off against Republican Chad C. Rossiter to represent the 75th house district, which comprises most of Grand Rapids. “Both Winnie and David have proven records of fighting for Michigan’s working people,” said KICLC President Sean Egan (IBEW Local 275). “For over three years, Rep. Brinks has stood up for students and veterans, as well as working families struggling under Michigan’s rigged tax system. The Kent-Ionia Labor Council will continue to evaluate candidates for local office in the weeks ahead, and will make additional endorsements ahead of the August and November elections. This entry was posted on May 3, 2016 by WMALC in Political news and tagged David LaGrand, Grand Rapids, ibew, Kent County, KICLC news, Lansing, Winnie Brinks.